Healthy Parks, Healthy People this Friday, July 21! Murphys Point has a HUGE day planned this Friday, July 21! It’s Healthy Parks, Healthy People Day at all Ontario Parks – which means free day use! 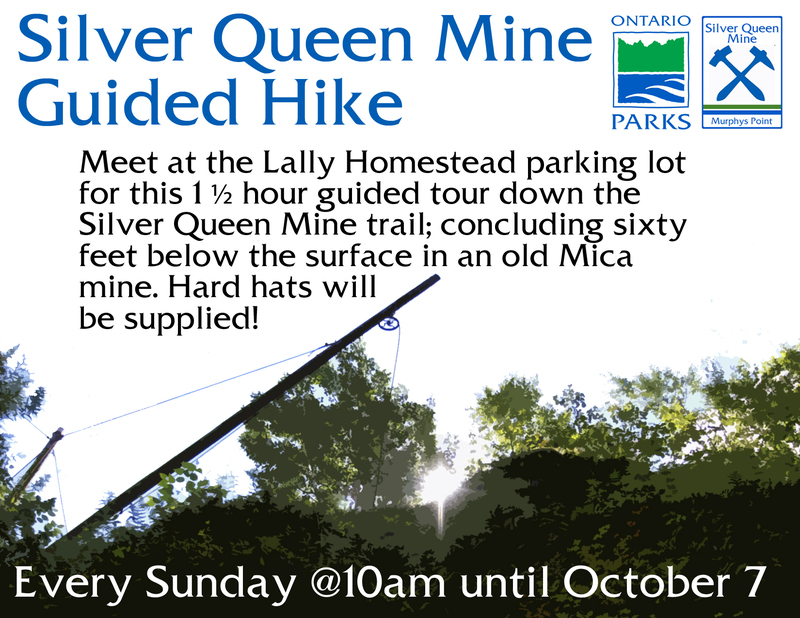 There is a great line-up of activities planned for the day, including a hike to the Silver Queen Mine, another BioBlitz event and the Friends are hosting a fundraising barbecue on the beach. Don’t miss out on what promises to be a fantastic day – rain or shine! Hope to see you there! As a nod to our BioBlitz day, this special edition of the mine tour will focus on the biodiversity along the trail. Meet at the Lally Homestead parking lot for this 1½ hour guided tour. LIMITED CAPACITY – PRE-REGISTER AT THE GATEHOUSE. What fish species live in Hogg Bay? 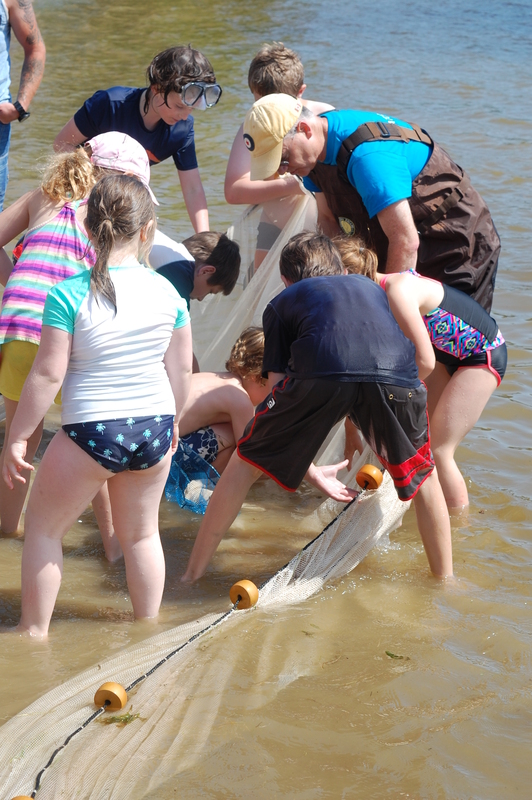 Meet up with us at the Main Beach for 12 noon to help us in our search using nets and minnow traps. Bring some money and support the Friends of Murphys Point Park. Hot dogs, hamburgers, fruit skewers, etc. With experts on invasive and native species available, why not try challenging yourself by finding something new for the park list? Meet us at 2pm at the Main Beach and we’ll go for a short walk to see what reptiles and amphibians we can find. Ever wondered what’s flying around the campground at night? We’ll be setting up moth lights, moth traps, and bringing out our bat detectors to find out some answers. Drop by the Rideau Comfort Station anytime between 8:30 and 10pm.